French, German, Russian, Italian and English speaking viewers will get to experience the broadcast in their native tongue. 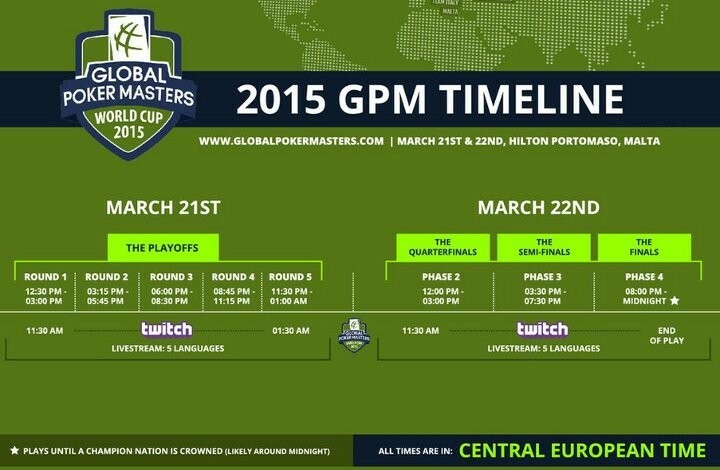 The Global Poker Masters will take place for the first time this weekend, and you can catch all the action live on Twitch. The “World Cup” of poker will feature 40 of the world’s top poker players on teams representing eight countries. Some of the players representing their homelands include Vanessa Selbst, Dan Smith, Sam Trickett, Jonathan Duhamel, Ole Schemion, Marvin Rettenmaier, Bertrand “ElkY” Grospellier, Vitaly Lunkin and Eugene Katchalov. Interested in who else is competing? Check it out here. Interested in the format of the tournament? Check it out here. Gonna watch? Do it here. 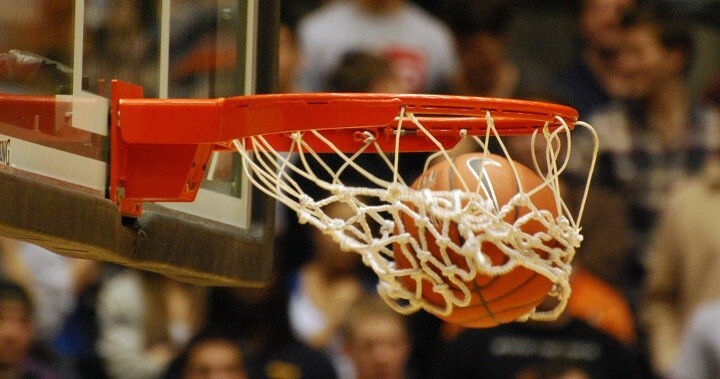 This weekend, the Borgata Hotel Casino & Spa will host Atlantic City’s First-Ever Free Throw Shooting Tournament regulated by New Jersey where participants will walk away with their share of $10,000 in cash. Starting at 10am Saturday, March 21 in the Signature Room, ballers can take their shot at the first place prize of $5,000, but you better get there early as the competition is only open to the first 750 entrants. For the $20 buy-in (and an optional single rebuy in Round 1), players will have 60 seconds to sink as many of the 15 balls as they can. Each made shot with a standard ball counts for 1 point, but 2 special colored balls will count for 2 points each setting the max possible score for Round 1 at 17. The top 64 players will advance to the Semifinal Round. which will have the same structure as Round 1. From there, the top 16 scores will advance to the Final Round where they will be randomly paired in 4 heads up matches and play down to a winner. Note that the overall prize pool may exceed the $10,000 guarantee! Check out the Borgata web site for all the details. One must wonder if there is any chance that former UB scam victim and then former UB spokesman, Prahlad Friedman will show up for this competition. Former Baywatch star Pam Anderson is adding to the lore or Andy Beal (a.k.a “The Banker” in poker circles) by claiming he lost $40 million to her estranged husband, poker player Rick Salomon. According to a report by TMZ, Anderson wants her share of the money lost to Salomon by Beal—made famous for his super high stakes poker matches against the likes of Doyle Brunson, Phil Ivey, Howard Lederer, Ted Forrest, Chip Reese, Jen Harman and others collectively known as “The Corporation” in the book detailing the actual events titled The Professor, the Banker, and the Suicide King. The accusations are part of what is proving to be a messy separation between Anderson and Salomon. According to documents reportedly obtained by TMZ, Salomon and Beal played matches in which tens of millions of dollars changed hands over the summer at the Bellagio. Beal was spotted in Las Vegas earlier this year when he reportedly lost $5 million to Todd Brunson at the Bellaio. F5 would like to extend a special hat tip to PokerStartegy.com for making us aware of this story. Darren Elias and Kane Kalas square off at the Final Table of Season XIII WPT Borgata Poker Open. Though it sure makes for good television, anyone that has been hit by a cooler at a final table has to sympathize Kane Kalas as he runs into a flush over flush situation. Do you think you could have gotten away from this hand in this spot?